Hollywood rolls out yet another version of this classic tale, having taken some licence with key plot points. We follow Robin and his Moorish friend as they return from the arduous Crusades, to mount an audacious revolt against the English throne, while leaving time for a classic romance on the side. Expect plenty of martial action. This film is releasing in 2D and 4DX. This is the 2D version. Language The material contains infrequent low impact use of appropriate language that is used within a context of expressing anger or frustration. Violence The material contains frequent moderate impact physical and emotional violence. The majority of the physical violence in the film consists of “bow and arrow” violence that is actual and implied at times with minimal bloodletting. The film also contains a single minor scene of a man’s hand being dismembered without bloodletting. 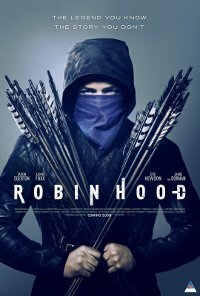 Comments The film contains complex and mature themes of thievery, wealth inequality, medieval times, the defiance of a young man who fights against the ills of social injustice driven by love and willpower, social imbalance, rich versus poor, murder and deception. The scene of a man’s hand being dismembered (which is brief and without any bloodletting) might be threatening, disturbing or harmful to viewers under the age of 13 or cause psychological harm. The positive messages of fighting for social justice, good prevailing over as well as love and companionship mitigates against a higher impact.